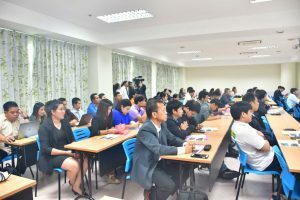 RMUTT has partnered with the National Science and Technology Development Agency (NSTDA) to establish occupational standards and professional qualifications for the Faculty of Information and Communication Technology, and Digital Content, and Faculty of E-commerce Business and Website. More than 100 IT and E-commerce professionals have joined the program. 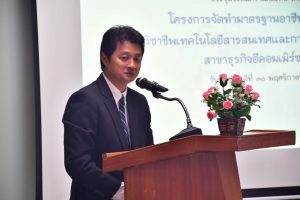 Mr. Pongpich Tuanpusa, Vice President of RMUTT said that the university has partnered with the National Science and Technology Development Agency (NSTDA) to create a program to establish occupational standards and professional qualifications for the Faculty of Information and Communication Technology and Digital Content, and Faculty of E-commerce Business and Website for four work groups and seven professions. The first work group – developers, consists of e-commerce and web programmers/developers and web designers/web content makers. The hosting, network and security group consists of web hosting administrators and e-commerce security administrators. The third work group – e-marketing/special platforms consists of e-commerce marketers, and the fourth work group –auditors and consultants, consists of web auditors and e-commerce consultants. The above four work groups and seven professions follows the seven stages of the national occupational standards and professional qualifications framework to support and enhance the work groups in developing occupational standards and professional qualifications consistent with employers‘ needs. 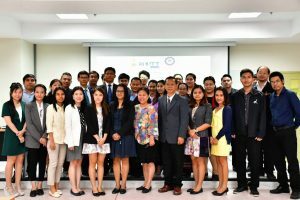 It is also more international, suitable for Thailand, and is recognized both locally, within the ASEAN Economic Community (AEC), and internationally. 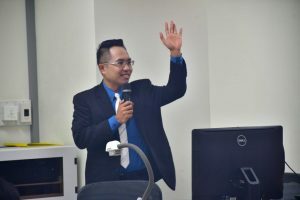 Mr. Nithiwat Siripiriyapong, ‎Director of Bureau of Competency Assessment and Certification at the Thailand Professonal Qualification Institute (TPQI) (Public Organization) added that people in this professional will be able to further develop their abilities, competencies, grasp new opportunities, and advance in their career path once occupational standards and professional qualifications have been developed. Moreover, professionals can be hired to meet certain needs, be evaluated in terms of performance and productivity, and can plan ahead to develop competencies that align with the job. 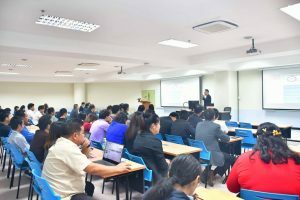 Educational institutions can use these occupational standards and professional qualifications to design and develop curriculums for students in line with organizational needs, which may result in increased people capabilities that will enable Thailand be become more competitive.